NATO’s Aegis Ashore Ballistic Missile Defence site in Romania will undergo a long-planned update this summer. This update, which has been taking place across the Aegis Ballistic Missile Defence system fleet, will not provide any offensive capability to the Aegis Ashore missile defence system. The scheduled update is part of the United States European Phased Adaptive Approach to ballistic missile defence, which was announced in September 2009. 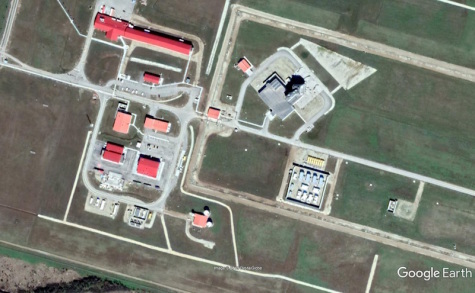 During the update, the United States will fulfill its commitment to NATO's Ballistic Missile Defence by the temporary deployment of a Terminal High Altitude Area Defense (THAAD) system to Deveselu in Romania. The THAAD unit will be under NATO operational control and the full political control of the North Atlantic Council. It will only remain operational until the Aegis Ashore Romania site is back online. The update and deployment are expected to last several weeks. In accordance with NATO's Ballistic Missile Defence system, the THAAD unit will be focused on potential threats from outside the Euro-Atlantic area. Aegis Ashore Romania is purely a defensive system.